Govt. 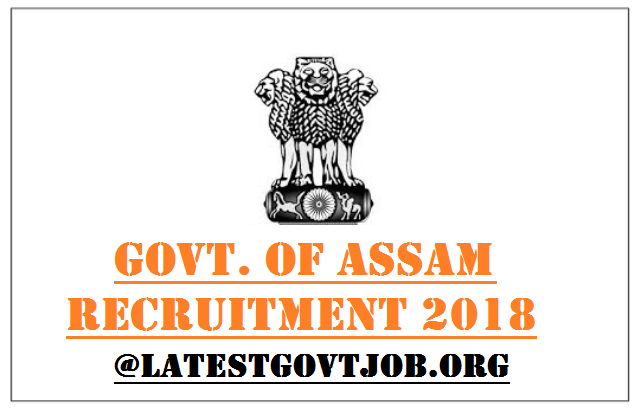 of Assam Recruitment 2018 For Assistant Teacher 5393 Vacancies | Apply Online @dee.assam.gov.in : Education Department, Govt. of Assam has released a notification for the recruitment of 5393 Assistant Teachers. Interested candidates may check the vacancy details and apply online from 26-03-2018 to 19-04-2018. TET Pass in Teacher Eligibility Test to be conducted by the appropriate Government in accordance with the guidelines framed by the NCTE for the purpose. Age Limit (as on 01-01-2018): Minimum 18 years and Maximum 28 years. How to Apply: Interested and eligible candidates may apply online through Govt. of Assam website - https://dee.assam.gov.in/ - from 26-03-2018 to 19-04-2018.